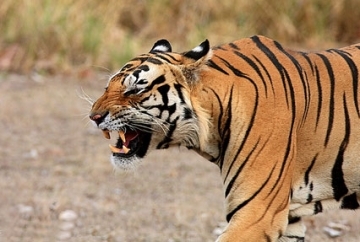 Kanha National park is located in Madhya Pradesh. 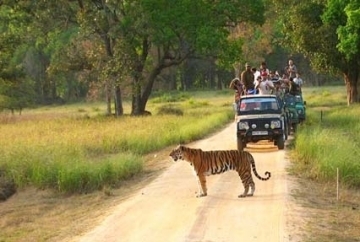 The National Park is spread in Central India. Two districts of the same state shares the perimeter of the sheltered wildlife haven. The protected premises has two gates; Khatia and Mukki entrance gates. Khatia gate falls on Mandla district and the Mukki gate on Balaghat district. 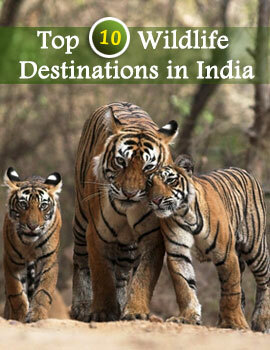 The wildlife sanctuary is well connected from the major destinations of Madhya Pradesh, Maharashtra & Chhattisgarh. 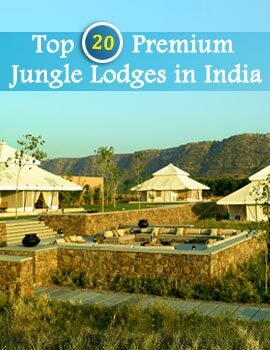 The nearest airport to Kanha National Park is Dumna Airport in Jabalpur. The national park is 160 kilometers away. The domestic airport has connections from all over India. Frequent flights service the city. The nearest railhead to the national park is the Gondia railway station. The railhead is 145 kilometers away. Jabalpur railway station also has access to the park. Located 160 kilometers away it offers better connectivity of trains from all over India. 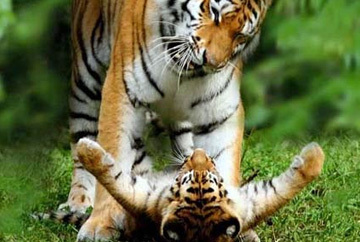 Kanha National Park can be accessed by road from cities all over India. Centrally located in India, the road connectivity is favorable. The closets cities are Jabalpur, Raipur and Gondia.